A year or so ago my son had his bank account cleaned out, five or six hundred dollars gone in the blink of an eye. The investigation determined he was the victim of a card skimming scam, eventually he got the money back. Today he went to use his debit card which was “declined” with a message to contact his bank. Once again an attempt had been made to access his account – fortunately the bank caught it this time – no more inconvenience than a cancelled card, forcing a trip to the bank tomorrow to obtain a new one. We have our shorts in a knot over PRISM, cry foul at the mention of governments monitoring our internet activity and phone calls, yet zip our lips as criminals drain our bank accounts. I admit that I’m talking apples and oranges – the two being far different, yet springing from the same technological “Pandora’s Box”. Once opened, that box can never be closed – we live in a society based on electronic information, and there’s no turning back. With every “Like” on facebook, store points card, or search on Google we willingly provide our personal profiles without even scratching the surface. “Signing up” for offers, registering for coupons, answering surveys – we open our lives to profiling without batting an eye. No one likes to contemplate “big brother” watching their every move , yet we act so surprised when whistle blowers reveal something so obvious; something we’ve willingly “liked” away for years – technology has made our lives an open book. Without question “liking” on facebook is a far cry from having our phone conversations monitored – yet both are an unstoppable product of the age we live in. Anyone who still believes electronic monitoring, profiling, and compilation of personal data hasn’t been going unchecked for years is kidding themselves. For those with nothing to hide; while fundamentally an infringement on our rights – I contend there are bigger fish to fry. I’m honestly more concerned with technology in the hands of private individuals. Criminals, foreign governments, groups wishing us harm – that concerns me more. 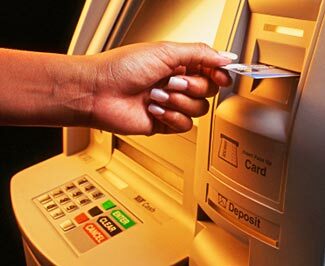 Identity theft and debit card skimming cost us billions of dollars a year. My son shouldn’t have his bank account drained or debit card cancelled because unscrupulous people have access to technology. We demand all these freedoms but allow ATM skimming devices to be sold over the internet. Cyber attacks, industrial espionage, credit card and debit fraud – all issues that have me far more concerned than the “leak” our governments spy on us. I mean really – the outrage is comical.